It's finally December! The present shopping is (nearly) all done, there's mince pies in the cupboard and it's now time to relax a little and soak up the festive atmosphere. And if you haven't started shopping yet, then a Christmas market is the perfect place to find something a little bit out of the ordinary. 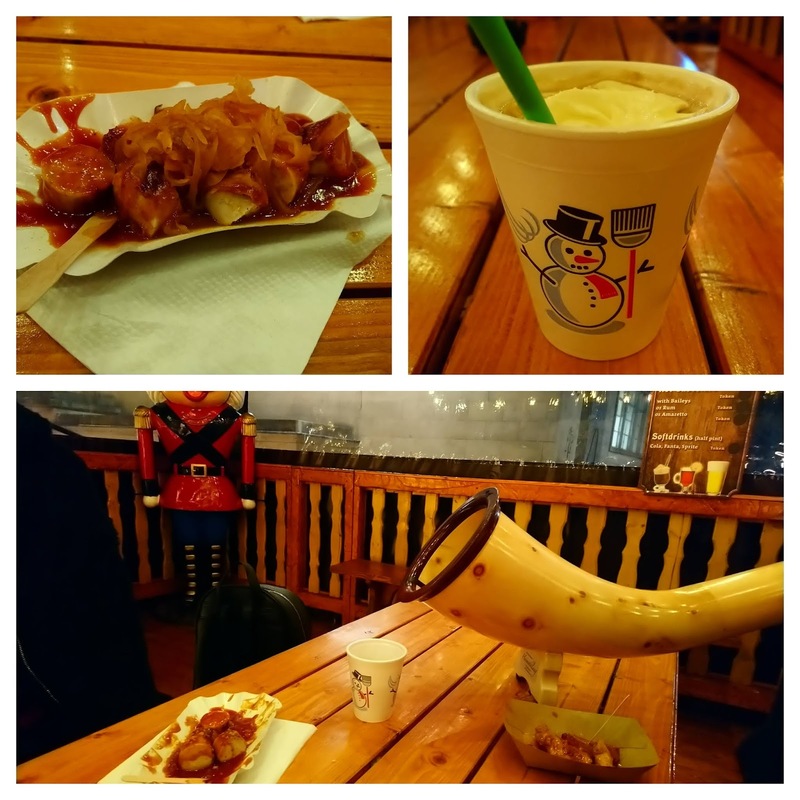 Earlier this week, I was invited along with Southampton Bloggers for an evening at the Southampton Christmas Market and to watch Santa fly. He's a busy guy but every night he and Rudolph find time to fly from the top of Southampton Bargate across the market. The market is a traditional German one with alpine chalets, food and drink and even a Bavarian musician. We were given a personal tour of the market where we got a chance to talk to some of the stallholders and sample some of the food and drink available. We then went up to Balcony Bar ready to watch the big man do his stuff and fly across the market. We really did have the best seat in the house, with hot chocolates, even more snacks and accompanying music from an alpine horn! A big thank you to Southampton Bloggers and Southampton City Council for inviting us. If you want to watch Santa yourself (and it's the only place in the UK to see it) he's flying twice a day until 23rd December. Monday to Saturday at 5 and 7pm and on Sundays at 4 and 6pm.